The Political Climate in New Sharon, IA is Moderately conservative. Mahaska County, IA is Moderately conservative. In Mahaska County, IA 24.6% of the people voted Democrat in the last presidential election, 69.9% voted Republican, and the remaining 5.5% voted Independent. Mahaska county voted Republican in the previous five Presidential elections. Mahaska County, Iowa is Moderately conservative. Oskaloosa Metro Area is Somewhat conservative. In the last 4 years (2015-2018), there were 75 contributions totaling $6,620 to Democratic and liberal campaigns, averaging $88 per contribution. In the last 4 years, there were 35 contributions totaling $7,675 to Republican and conservative campaigns, averaging $219 per contribution. 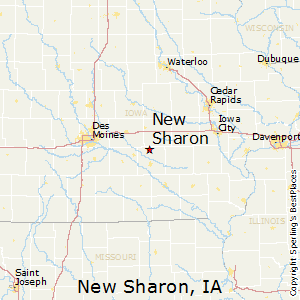 Compare New Sharon, Iowa to any other place in the USA.